Questions? Want to set up an appointment? Feel free to give us a call! Christine Dean is here to service all your essential oil needs. For the latest on classes and promotions please visit The Oil Way on Facebook here. 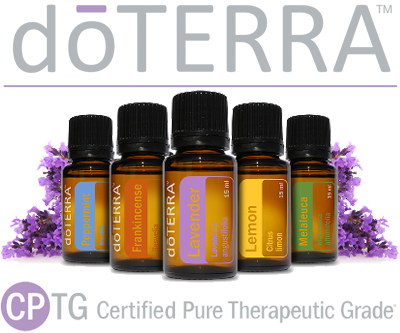 For more information on essential oils please visit doTERRA here. The scanner is highly accurate at measuring @displaying reactions from your body. iTOVi's algorithm follows frequency patterns it sees & takes an overall wellness snapshot at the time of the scan. It then determines which essential oils are best connected to those frequency patterns. Includes essential oil consult. ​Essential oils have been used throughout history for their health-promoting properties. Because we are searching for natural ways to support our bodies thru daily health challenges or times of crisis, essential oils are making a comeback. If you are facing some challenges and would like to learn how essential oils may support you, please call for an appointment. I offer wellness consults along with the use of the Itovi scanner to gain knowledge as to what areas you have concerns. I am a licensed cosmetologist, certified essential oil coach and an avid essential oil user.